"This was a grand musical experiment, risky and costly for the producer Ying Tan, recorded all-analog by Michael C. Ross at United Recording (formerly Ocean Way). ... The arrangements and the playing, especially Tim Pierce's acoustic guitars and Keltner's drumming, are, for the most part, musically rewarding and Fernandez delivers the goods most of the time. ...This is an 'audiophile' production that aims for a certain 'absolute sound' of a band and a singer playing in a space and in that regard it is 100% successful but it also produces a 'literalness' not found on 'commercial' recordings. The result is a spectacularly natural and ultra-dynamic drum sound similar to what Glyn Johns achieved on the latest Eric Clapton album. Tim Pierce's guitars are equally well-served in a recording by Michael C. Ross that's nothing short of stupendously transparent, dynamic and natural." — Music = 9/11; Sound = 11/11 — Michael Fremer, AnalogPlanet.com. Read the whole review here. 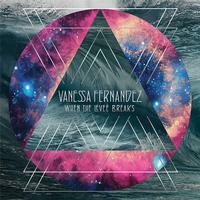 As the title suggests, vocalist Vanessa Fernandez covers Led Zeppelin tunes but in "unplugged" acoustic arrangements. The tunes include, among others: "Babe I'm Gonna Leave You," "Immigrant Song" "Kashmir" "Ramble On." And of course "Whole Lotta Love." The recording is 100% pure analog engineered by Michael C. Ross at United Recordings (the former Ocean Way), one of the world's top recording venues. Players on the set include Use Me guitarist/arranger Tim Pierce, Jim Keltner on drums, ex-Jane's Addiction bassist Chris Chaney, percussionist Luis Conte (James Taylor, Santana, Eric Clapton, Al Di Meola) and keyboardist Jim Cox (Mark Knopfler, Lyle Lovett, Willie Nelson, Alison Krauss).